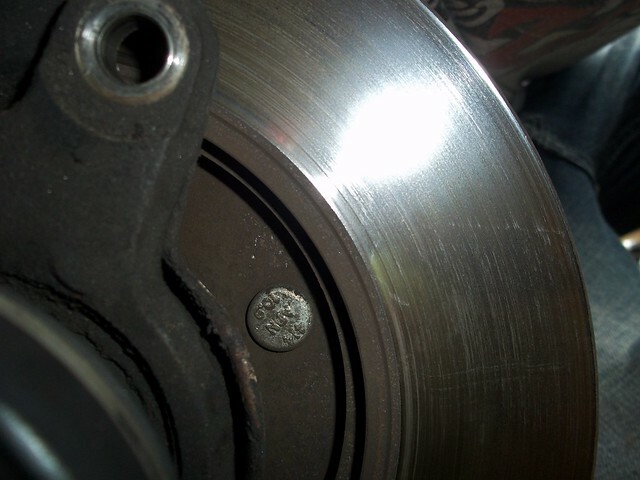 Remove the caliper. 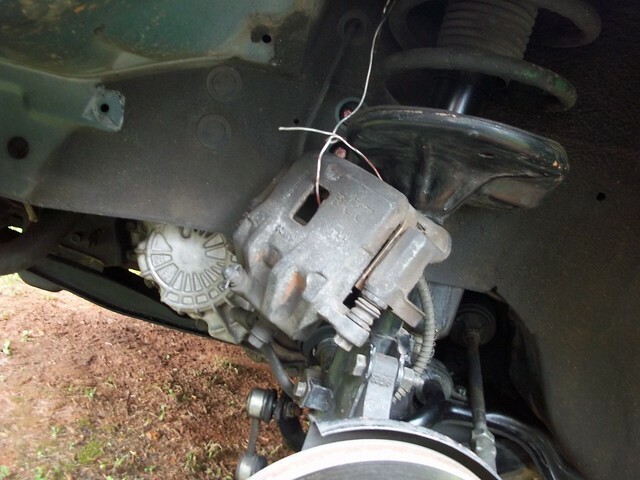 Use some wire and hang it from the coil spring. 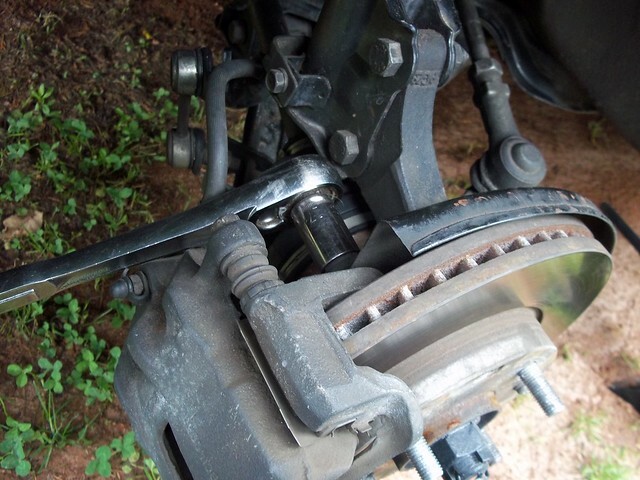 DO NOT leave the caliper hanging by the brake line!!! 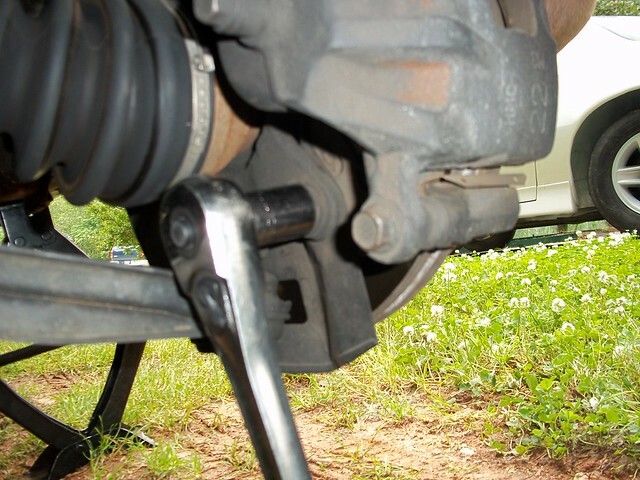 With the caliper off, you can push the lug stud out. 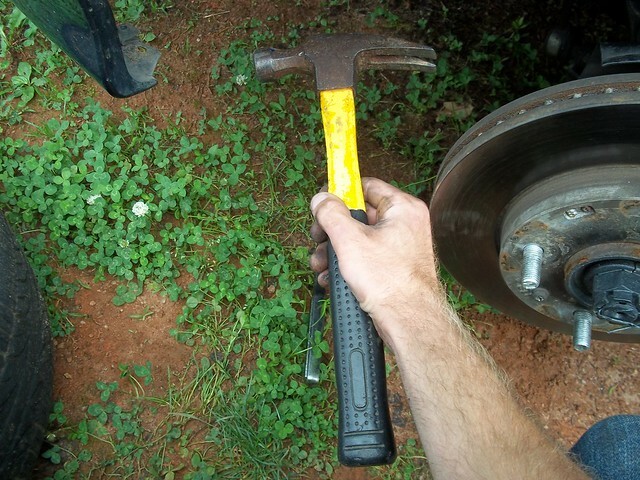 Get a hammer and hit the lug stud. 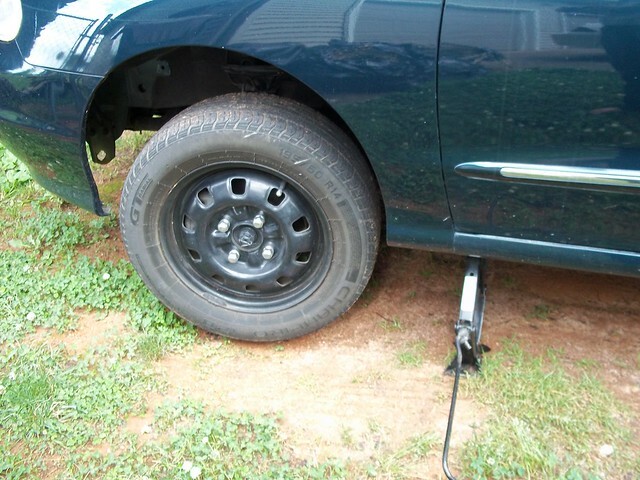 It might take a few hits before it comes loose. 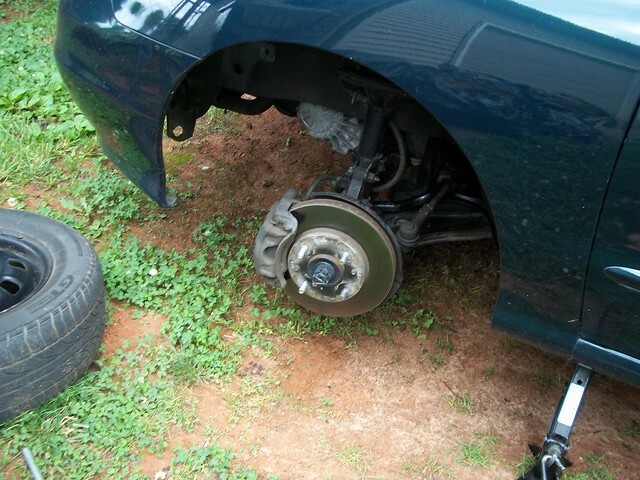 Push the new lug stud by hand. 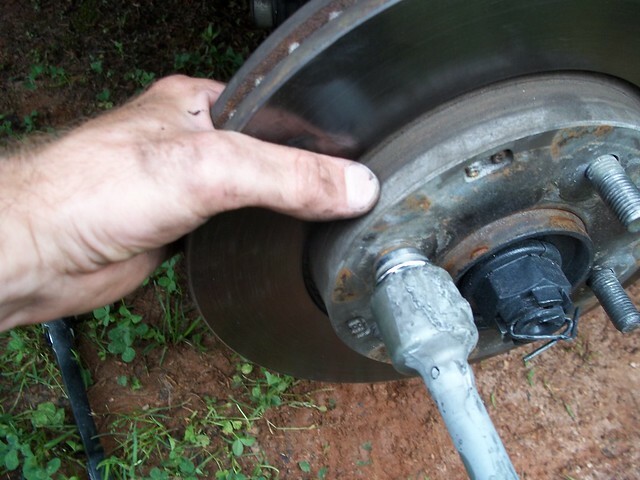 Then tighten a lug nut onto the stud, while using your other hand to press on the back of the stud to prevent it from spinning. 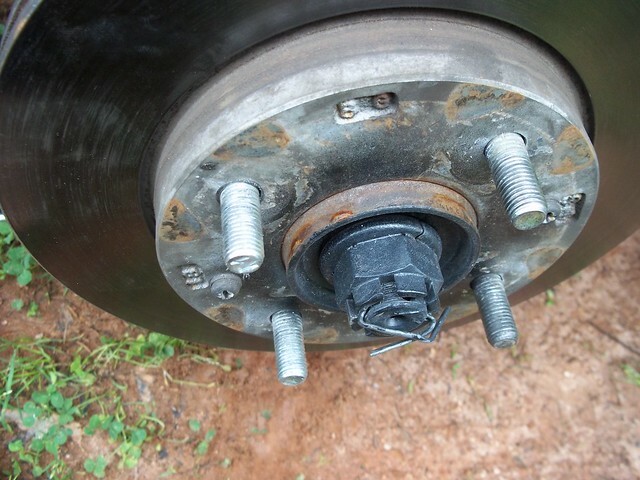 You might need some washers if your lug nut isn't deep enough to press the stud into the hub. Reinstall everything. 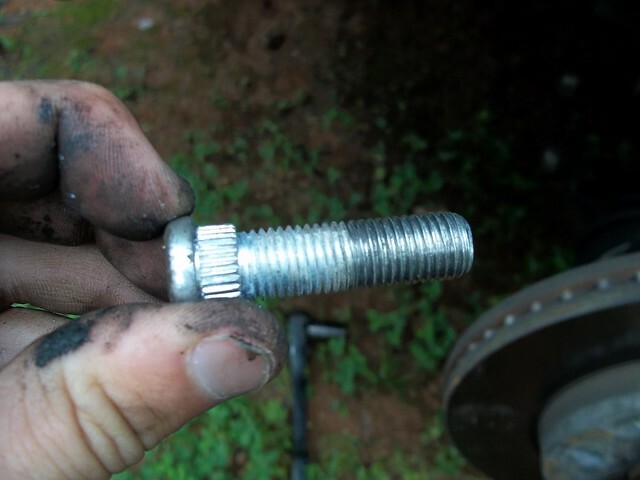 Torque lugs to spec.